The Polavaram Project in Andhra Pradesh has set a global record on Monday at 8:00 AM by completing 32,100 cubic meters of concrete with in 24 hours. Chief Minister Chandra Babu Naidu has appreciated everyone involved in achieving the world record. 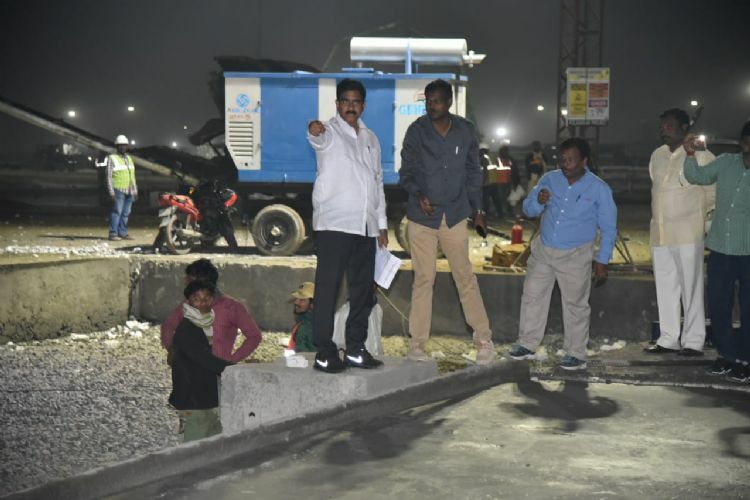 Minister Devineni stayed overnight at Polavaram.